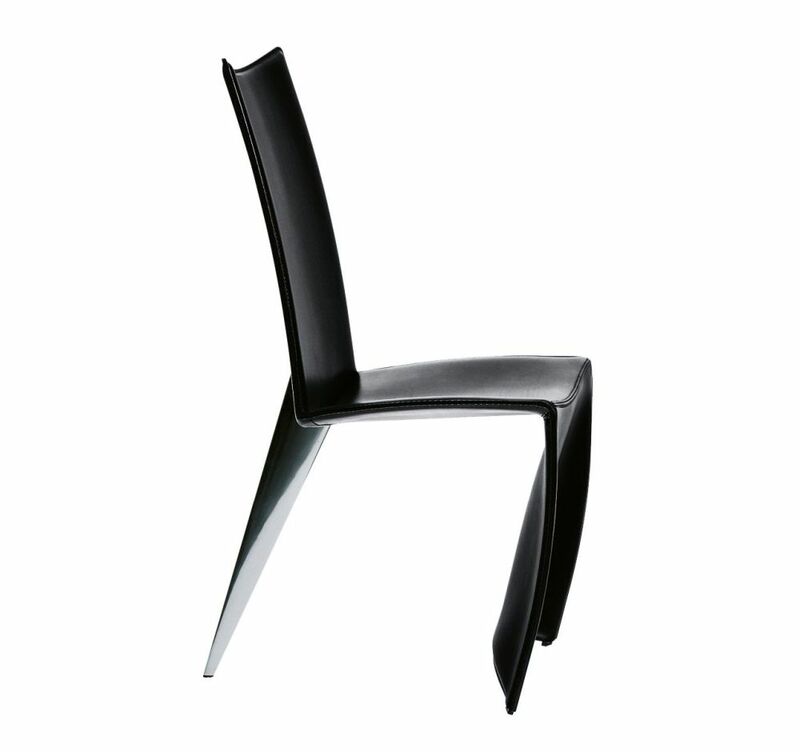 Here it is the ultimate pleasure of design and the power of provocation: the leather “full dress”, that reaches the floor, strongly opposes to the only polished metal “shark finned” back leg. Ed archer is undoubtedly a scenographic protagonist. Tubular steel shell with spring units and polished casting aluminum rear leg. Fixed leather cover in two different versions.